Whether you're the type to go out for a late dinner and dancing or head to a low key bar for some live music and a local beer, one if not many of Boston's numerous neighborhoods will surely make make you feel at home and welcome you with open arms. For those of you new to Boston, here's a helpful guide we've come up with that outlines the vibes of some of Boston's different neighborhoods. 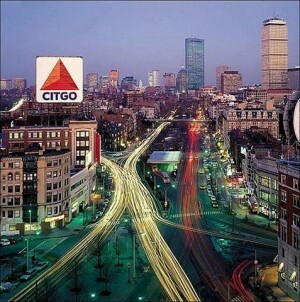 Check out boston.com's neighborhood quiz to see which part of Boston you might find most appealing. If you enjoy dive bars, college house parties and cheap eats, then the tight-knit collective of Allston is the place for you. A melting pot of students trying to find themselves, you'll encounter musicians, artists and a bit of "preppy" Boston College students. Back Bay is home to some of the most gorgeous Victorian brownstone homes in the city as well as and hundreds of popular cafes, restaurants and boutiques. The area also contains two of Boston's tallest and most iconic buildings: the Prudential Center and the John Hancock Tower. Home of such Boston landmarks as the Public Garden, the Copley Plaza and Park Plaza hotels, the Public Library and Boston's Public Garden, it is the best area to spend a day off of work strolling through. 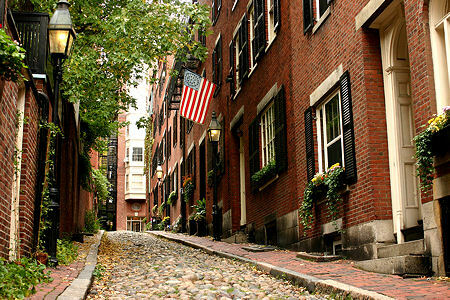 Across the Common and Gardens from Boston's Theater District lies one of the most picturesque neighborhoods in the city, Beacon Hill. Over 10,000 people call its narrow streets and brick row-houses home. The Beacon Hill Civic Association represents the residents while working to protect the historic residential character of the hill and gas lights and all. architecture, playgrounds and public parks fool you though, the area offers a whole slew of great restaurants, bars shops and even a few clubs. This bustling neighborhood is located just minutes away from Tufts University in the town of Somerville. With many bars and restaurants scattered throughout the square, this is a favorite hangout for Tufts students and locals alike. While still having much to do, Davis Square still has the suburban low-key feel of outer Boston. This cluster of neighborhoods is home many of Boston's hot restaurants, retail spots, nightclubs and theaters. Bordering the Boston Common, the area boasts many options in regards to entertainment during the day as well as at night. Fenway is most famous for the historic home of the Boston's baseball team the Red Sox. The area is full of restaurants, bars and concert venues such as The House of Blues as well as residents. Located on Boston's waterfront, Fort Point is perhaps one of the trendiest up-and-coming neighborhoods of the city. Full of industrial buildings and abandoned warehouses with gorgeous views of the city, these spaces are being transformed into condos, lofts, offices, museums, galleries and restaurants. One of Boston's most iconic neighborhoods, the North End is home to many Boston landmarks such as Paul Revere's House and the Old North Church. Comparable to New York City's Little Italy, the North End is the place to go for delicious Italian food and seafood. Located in the south of the Back Bay, the South End's mix of commercial and residential properties provide different looks and vibes street by street. The neighborhood is home to more more public playgrounds per square foot than any other neighborhood in Boston. Some of the most tastiest and fashionable restaurants in Boston at the moment line Tremont street in the South End.